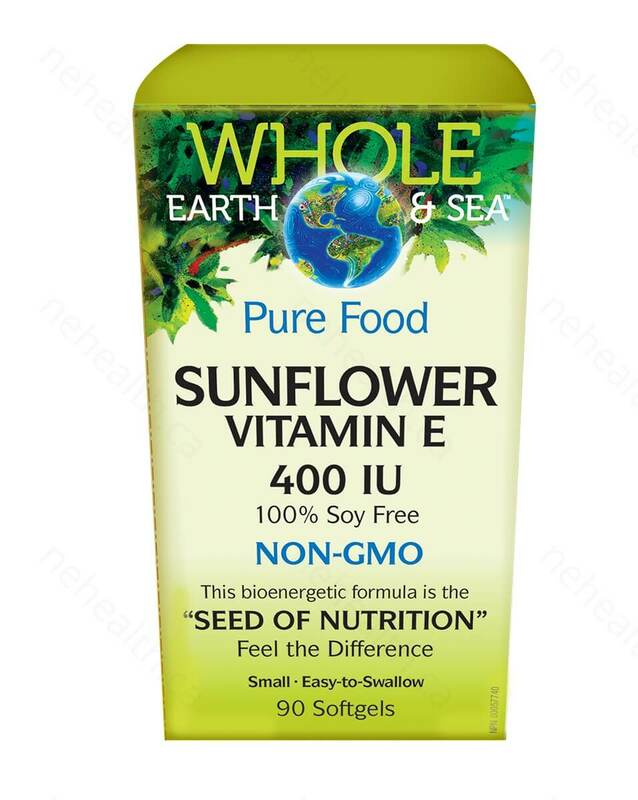 Whole Earth & Sea Pure Food Sunflower Vitamin E contains d-alpha tocopherol from non-GMO sunflower seed oil. It is ideal for anyone looking to avoid soy-based vitamin E supplements. The sunflower oil is identity preserved, meaning its unique qualities are protected from seed to shelf. 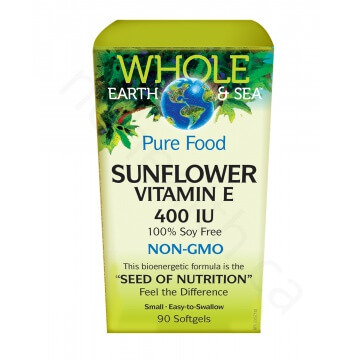 Vitamin E supports cardiovascular and immune health, and helps prevent premature aging. Take 1 softgel per day or as directed by a health professional.